SAS Scandinavian Airlines Boeing 737-600 Norwegian flag for the FAIB Boeing 737-600 FSX base model. These are FSX textures only. The FAIB Boeing 737-600 FSX base model is required. SAS Scandinavian Airlines Boeing 737-500 for the FAIB Boeing 737-500 logolight FS9 base model. These are FS9 textures only. The FAIB Boeing 737-500 FS9 base model is required. 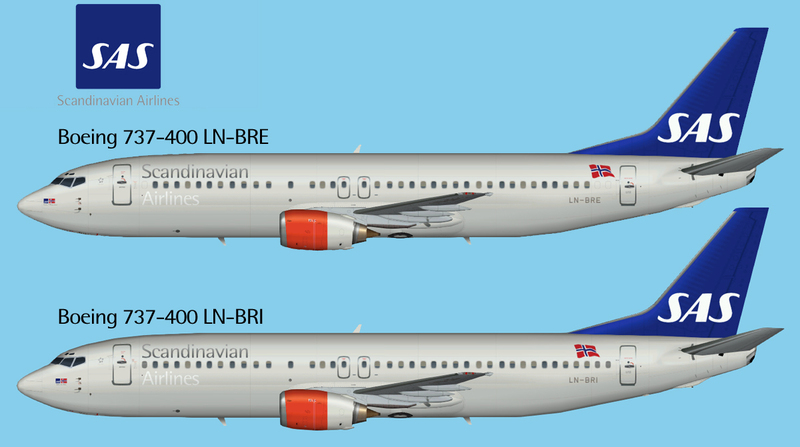 SAS Scandinavian Airlines Boeing 737-500 for the FAIB Boeing 737-500 logolight FSX base model. These are FSX textures only. The FAIB Boeing 737-500 FSX base model is required. SAS Scandinavian Airlines Boeing 737-400 for the FAIB Boeing 737-400 logolight FS9 base model. These are FS9 textures only. The FAIB Boeing 737-400 FS9 base model is required. 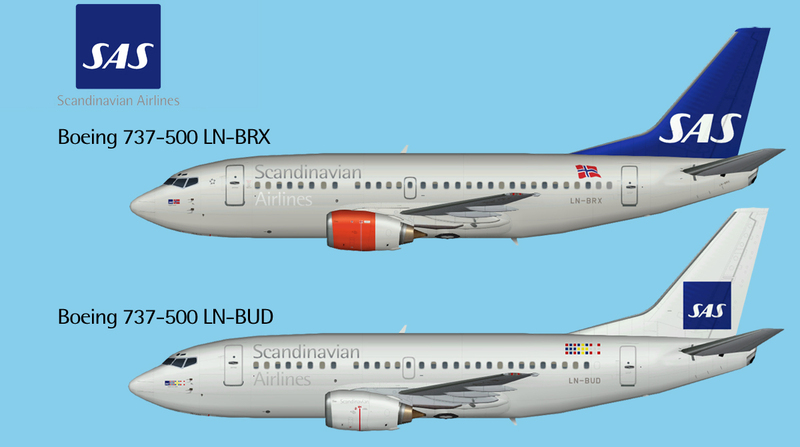 SAS Scandinavian Airlines Boeing 737-400 for the FAIB Boeing 737-400 logolight FSX base model. These are FSX textures only. The FAIB Boeing 737-400 FSX base model is required. SAS Scandinavian Airlines ATR 72-200 FSX for the OSP ATR 72-200 base model. SAS Scandinavian Airlines Airbus A340-300 FS9 for the TFS A340-300 base model. SAS Scandinavian Airlines Airbus A340-300 FSX for the TFS A340-300 base model. These are FSX textures only. The TFS A340-300 base model is required. SAS Scandinavian Airlines Airbus A340-300 Star Alliance FS9 for the TFS A340-300 base model. SAS Scandinavian Airlines Airbus A330-300 FS9 for the TFS A330-300 base model. SAS Scandinavian Airlines Airbus A330-300 FSX for the TFS A330-300 base model. SAS Scandinavian Airlines Airbus A330-300 Star Alliance FS9 for the TFS A330-300 base model. SAS Scandinavian Airlines Airbus A330-300 Star Alliance FSX for the TFS A330-300 base model. SAS Scandinavian Airlines Airbus A321-200 FS9 for the DJC A321-200 base model. These are FS9 textures only. The DJC A321-200 base model is required. It can be found at www.avsim.com. Search for djc_a321.zip. SAS Scandinavian Airlines Airbus A321-200 FSX for the DJC A321-200 base model. These are FSX textures only. The DJC A321-200 base model is required. SAS Scandinavian Airlines Airbus A320-200 FS9 for the DJC A320-200 base model. These are FS9 textures only. The DJC A320-200 base model is required. It can be found at www.avsim.com. Search for djc_a320.zip. SAS Scandinavian Airlines Airbus A320-200 FSX for the DJC A320-200 base model. These are FSX textures only. The DJC A320-200 base model is required. SAS Scandinavian Airlines Airbus A319-100 FS9 for the DJC A319-100 base model. These are FS9 textures only. The DJC A319-100 base model is required. It can be found at www.avsim.com. Search for djc_a319.zip.